capital of the Achaemenid Empire. It should be said that Shiraz is one of the most beautiful cities of Iran that many titles are assigned to it, for example "city of lovers" and it is due to the matter that Shiraz is the hometown of great poets like Hafez and Saadi. The city also has many historical and natural attractions that you will become interested in them. People of Shiraz are really warmhearted. Traveling to Shiraz can be one of your most memorable trips. Since people of Shiraz are so kind and warmhearted,there is no place better than people's houses for staying in Shiraz. But if such situation is not provided for you,you can stay at hotel. Shiraz has many nice hotels. For example, Chamran hotel is the highest hotel in Shiraz that you can see the whole view of the city from its cafe, Homa hotel is one of the most luxurious and expensive hotels of Shiraz, Persepolis hotel is a seven-floor hotel with complete facilities, from Shiraz Grant hotel you can easily access to the historical parts of the city, Pars hotel is also one of the most luxurious hotel in Shiraz with special architecture and two towers facing each other. If you prefer to spend less money and stay in a medium quality hotel we recommend you hotels like Jahangardi, Jam-e Jam, Eram, Arg, Shayan and Rudaki hotels. Niyayesh traditional hotel can be the best choice for those who interested in staying at a traditional place. 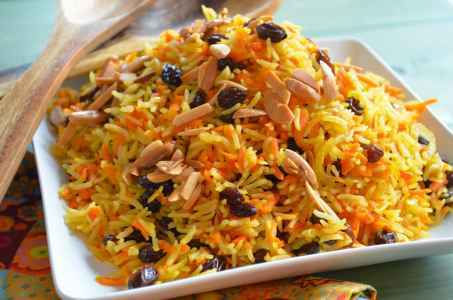 Kalam polo is the most popular local food of Shiraz and you can eat the best kind of it in Soofi restaurant. 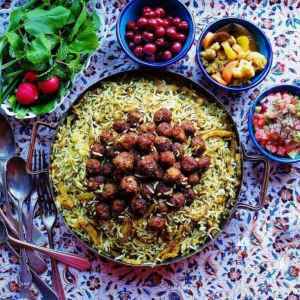 In addition to Kalam polo, other local food are cooked in Shiraz such as Shekar polo, Dopiyazeh Alu, Lari Kebab, Ash Sabzi and Ash Kardeh. Don't forget to try them. 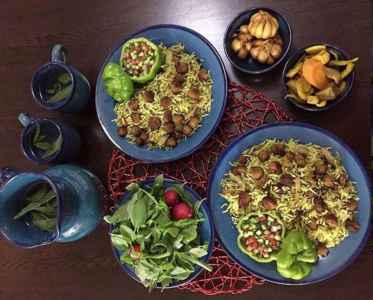 Ash Sabzi is a kind of vegetable soup that in cooked in Shiraz and served as breakfast. If you want to try this kind of soup and other local soup of Shiraz, you just need to go to Shams restaurant early in the morning. 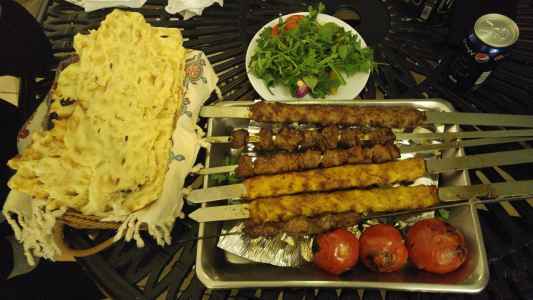 If you are interested in eating Kebab, you can go Sharze traditional restaurant. Great kinds of Kebabs are served there, the restaurant also has a great environment. 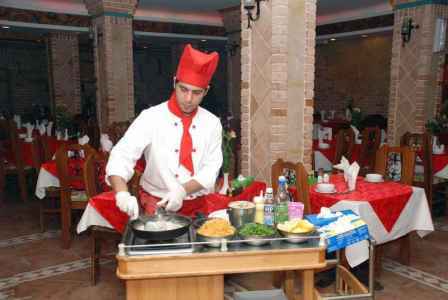 Haft khan restaurant is another great restaurant of Shiraz that has seven floors and you can eat different kinds of food there. Haft khan restaurant is also famous because of serving delicious Shirazi Halva. Shater Abbas, Shandiz, Berentin, Bagh-e Raz and Lotus restaurants are among the best restaurants of Shiraz. 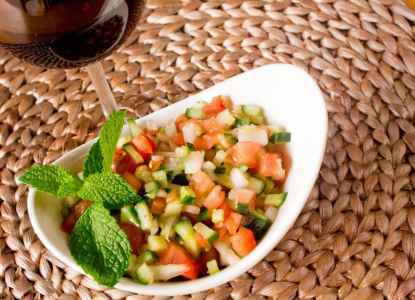 Shirazi salad, also referred to as salad Shirazi, is a popular traditional Iranian salad that originated from and is named after Shiraz in Southern Iran. Faloodeh or Paloodeh is an Iranian cold dessert consisting of thin vermicelli-sized noodles mixed in a semi-frozen syrup made from sugar and rose water that is similar to a sorbet. 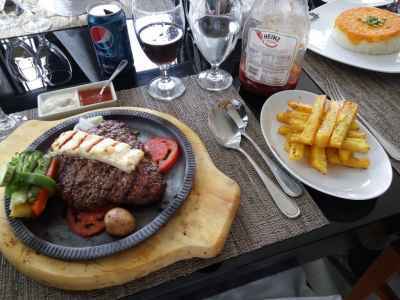 If you prefer to eat fast food we recommend you to go Namak, Zaver and Ayot restaurants. Namak restaurant has a special decoration look like Halite. Restaurant of Shapoori house and Kateh Mas restaurant can be good choices for those who interested in eating food in traditional environment. Faloodeh is the most popular food of Shiraz that you can eat the best kind of it in Jamshidian ice cream shop. You can eat the best ice cream of Shiraz in Baba Bastani shop that has two branches, one of them is located in Eram st., and the other one is located in West Ghodoosi Blvd. There are also many great cafes in Shiraz such as Cheshmandaz cafe in 23rd floor of Chamran hotel, Baran, Memar, Bahman 57, Street Lounge and Yoga cafes. They are the best cafes in Shiraz that you can go and enjoy your time. What do we buy from Shiraz? If you want to buy special souvenir of Shiraz, you should go to Vakil Bazaar where you can find different kinds of famous handicrafts of Shiraz like Khatam, Carved wood, Silver, Kilim and Gabbeh. 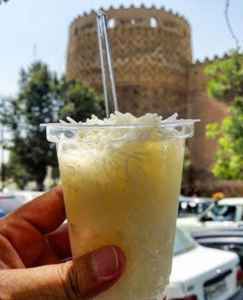 The famous beverages of Shiraz are different kinds of traditional Sharbat, Lemon juice and Verjuice that you can buy them from the stores located in front of Arg of Karim Khan. Masghati and Kaak ( Yukhe bread) are other famous souvenirs of Shiraz that you can buy them from Kamran confectionery cafe and Keshavarz confectionery respectively. Shiraz also has many modern shopping malls such as Persian Gulf complex, Aftab Fars shopping mall, Zeytoon,Hamoon and Soltaniye shopping centers. Unexpected events and diseases are inevitable during a journey, so you need to have information about the health services of the city that you want to go. Shiraz is one of the biggest cities of Iran and has a lot of equipped hospitals sucha as Shahid Beheshti, Shiraz Pars, Dena, Dr Khodadoost, Namazi, Ghadir, Mother and Child hospitals. These hospitals provide patients with different therapeutic services. Shiraz also has equipped health clinics like Mohamad Rasoala, Motahari and Vali-e Asr clinics that have general, dentistry, radiology, physical therapy and laboratory parts and give services to patients. Dr. Shabab, Amir, Eghbal and Dr. Abedi pharmacies give 24-hour services to patients,too. Where to go and visit in Shiraz? Shiraz has a lot of attractive places that you can go and enjoy. Here we introduce some of these places to you: Nasir ol Molk mosque which is a 1000-colour mosque of Iran, Arg of Karim Khan which is one of the most beautiful and unique monuments of Shiraz, Eram garden that has a lot of tall Cypress trees and it is one of the most beautiful gardens in Iran, Maharloo lake that has different colours in different seasons of a year, Shah Cheragh which is the most important religious attraction of Shiraz. The other attractions of the city are Vakil Bazaar, Zinat Al-Moluk house, Jahan Nama garden, Tomb of Hafez, Tomb of Saadi, Afif Abad garden, Saraye Moshir, Quran Gate, Shapoori and Qavam houses. We recommend you to go and visit a beautiful village near Shiraz which name is Qalat and an old church is there. Hafezieh is the name of a tomb in the North of Shiraz and South of Quran Gate and Hafez, a great Persian poet is buried there. This monument was built during the Zand Dynasty. Its length is 56 meters and its width is 8 meters. There are 20 stoned columns inside the building and the height of each is 5 meters. The architectural style of this tomb belongs to the Achaemenid and Zand Era. Tomb of Saadi or Saadieh is where Saadi, a great Persian poet had lived and was buried. This tomb is next to Delgosha Garen and at the end of Boustan Street in Shiraz. Many gravestones of great religious leaders are around the gravestone of Saadi. Among which is Shouride Shirazi's gravestone. It is not clear exactly when this garden was initially made but this garden is mentioned in the itineraries of the 10th and 11th century. The variety of plants is significant and is similar to an exhibition of flowers and plants. Vakil Bathhouse was built by the order of Karim Khan Zand. This bathhouse is located in the center of Shiraz and near other monuments of the Zand Dynasty such as Vakil Bazaar. Vakil Bathhouse had had the most advanced architectural principles of that time. Shah Cheragh Shrine is a famous and marvelous site in Shiraz. The son of one of the Shiite Imams was buried there and thus a shrine was built. This shrine was built in the 6th century and its sanctuary is designed with beautiful tiles.